Lay the perfect foundation for a good night's sleep and envelop your mattress with this healthy, organic cotton fitted mattress pad by Coyuchi. 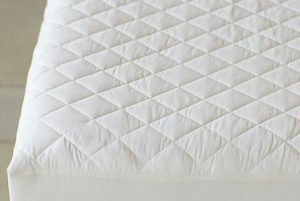 The top of the mattress pad is organic cotton sateen fabric quilted in a pattern of two-inch squares around organic cotton batting. The underside is a layer of organic cotton percale. The sides, also made from organic cotton sateen, have deep, 15 inch pockets and elastic around the bottom for fit. 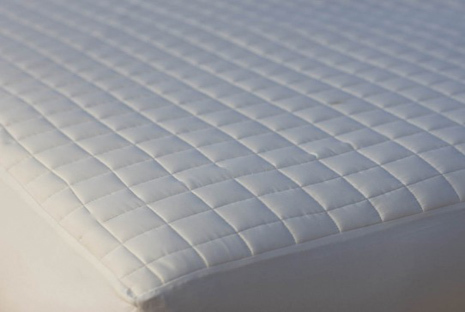 We consider an organic cotton mattress pad the essential accessory to every mattress. Not only does it protect your mattress, but it also allows you to wash away any dust and perspiration that may go through your sheet. This fitted organic mattress pad is an ideal option for most people and it works perfectly in combination with a wool moisture pad if you need further protection from moisture. All of the cotton used in this mattress pad is 100% organic–sourced and woven in India. Machine wash and dry. Availability: Twin, Queen, and King size is in stock, all other sizes ship direct from the manufactuer within a week. 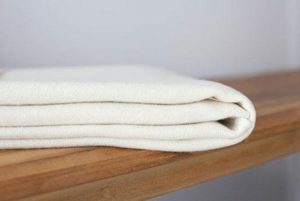 Coyuchi Organic Sham (1 Sham)|Birch $68.00 – $88.00 On Sale! 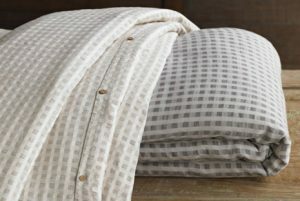 Stylish cotton and linen blend sham. Coyuchi Organic Mattress Pad Crib $128.00 Made from only organic cotton to protect your crib mattress. 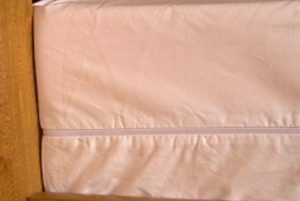 Crescent Moon Mattress Barrier Cover $204.00 – $412.00 Organic mattress barrier cover in different depths. Coyuchi Organic Cotton Flannel Mattress Protector $108.00 – $258.00 A thick flannel organic cotton fitted mattress protector. 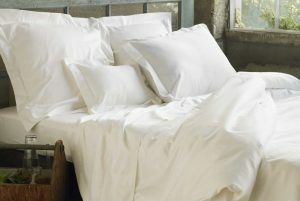 Coyuchi Organic Cotton and Linen Birch Duvet Cover $348.00 – $398.00 Stylish cotton and linen blend duvet cover. 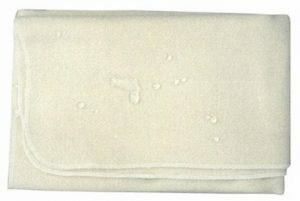 Coyuchi Organic Pillowcases (2 cases) Sateen $48.00 – $58.00 On Sale! 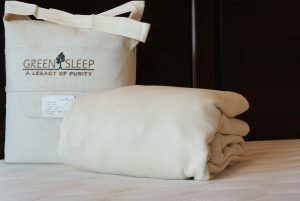 Lustrous, organic cotton sateen pillowcases. Green Sleep Vasilo Mattress Pad $298.00 – $438.00 Heavyweight, stretchy organic cotton protector. 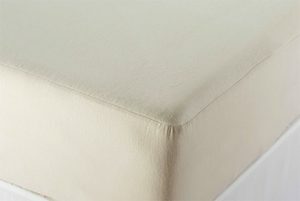 Perfect for use with Green Sleep mattresses or other latex mattresses.